This blog provide information about Sain Maula Shah and Bazm-e-Maula Shah(BMS) that has been established on the name of Maula shah(MS) and all books concerning MS and BMS. 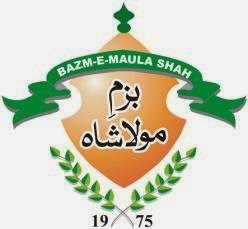 Bazm-e-Maula Shah is a Registered , Literary Organization. The bazm has been constituted in the memory of Sain Maula Shah (a mystic poet). The author of seven folk tales which have been published several times. Collection & Publication of The Poet’s books is the major object of the Bazm. The organization usually arranges Mehfil-e-smaa and Seminar / conference. On 7th February 1975 with the cooperation of the villagers of Karyal Kalan his relatives and followers constituted a society namely “ Sain Maula Shah Welfare Society ” at Karyal Kalan (Gujranwala), which was got timely, registered in 1976. His grand son Mian Muhammad Ismail Manzar was nominated as its patron and president. The aims and objects of the society were framed mainly for the welfare with the monitory assistance of the villagers and followers. On June 20, 2004 nomenclature was changed as “ Bazm-e-Maula Shah ” and later on it was registered permanently. At present its Head-office is at 41 – A, Chohan Road, Islampura, Lahore .The every executive has been selecting a number of zonal secretaries to help him in all activities of the Bazm. 1- To get the modern facilities from the Govt. for villagers. 2- To republish the books of Sain Maula Shah after their collection. For the 1st purpose Engineer Liaqat Ali Rathore and Prof. Mian Maqbool Ahmad played an active role for the supply of water and electricity, establishment of Public library and Dehi Markaz-e-Sehat and construction of melted road. For the 2nd purpose the marvelous efforts of Mian Zafar Maqbool are quite praise worthy who has succeeded to collect and arrange the republication of Maula Shah Books. While 7 books are under the process of publication. More over with the efforts of the Bazm a 40 feet high Yadgar of Sain Maula Shah was designed and founded in the village which was completed on 14th August 1991. A yadgar in his memory was built 1992 at Karyal Kalan Gujranwala (Pakistan). Its style is a water tank and at the top of the yadgar the Holy word Allah () has been written at four sides under which has been written which appeared as a different & a marvelous piece of constructive art.This construction is, no doubt an architectural model of the present age. It was constructed on the land gifted by the local landlord Ch. 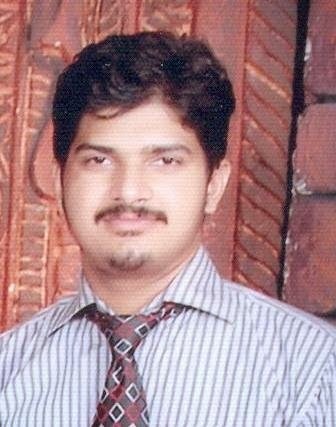 A Hamid Khan Bhatti and was sketched and largely financed by a well-reputed Engineer Mr. Liaqat Ali Rathore. See Report of Maula Shah Conference 2010 held under the Bazm-e-Maula Shah. Pen Name : Mehar Gul . I am descendant of Sain Maula Shah and nothing own.